Every year in the U.S., more than 30,000 people die in motor vehicle crashes. According to the National Highway Traffic Safety Administration (NHTSA), wearing a seat belt is the single most effective means of reducing the risk of death in a crash, and has saved close to 300,000 lives since 1975. Any way you look at it, wearing a seat belt every time you ride in a motor vehicle is the most important thing you and your family can do to stay safe. 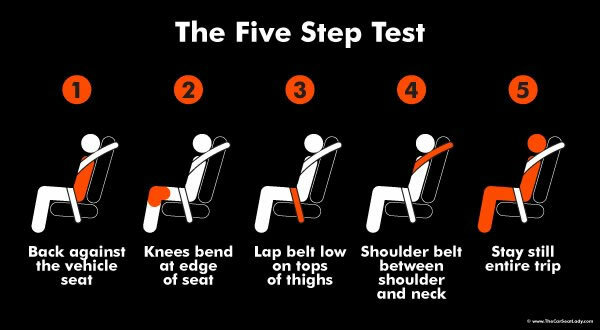 Every adult should know the proper way to strap into today’s lap or shoulder seat belts. The shoulder harness should be worn comfortably tight across the shoulder and chest, with only a minimal amount of slack. The lap belt should be fastened snug and low across the hips. Never wear the shoulder harness behind your back or under your arm, or any other improper way, as this can increase the risk of injury in a crash. Pregnant women should secure the lap belt underneath the “baby bump” and across their hips. The shoulder harness goes across the chest, away from the neck and to the side of the belly instead of across it. 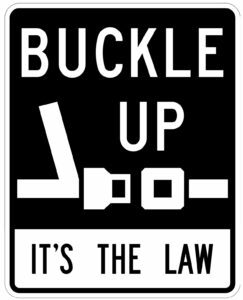 Remember that the primary purpose of the seat belt is to keep you secure in your seat to minimize injury in the event of a crash. Air bags may offer additional protection. But never use them as a substitute for seat belts, because they won’t keep you in your seat during a rollover crash. Most children are happy to grow out of the booster seat. However, it’s still essential to teach them the importance of using seat belts every time they ride in a car, regardless of who they are with. Instilling this habit at an early age is one of the best things you can do for your children’s safety. Always set a good example by buckling up as soon as you get in the car, whether you are driving or riding in a passenger seat. Don’t take for granted that your kids will automatically buckle their seat belts – visually check to make sure they do. The best way to make sure teens remember is to start educating them about the importance of seat belts before they start driving. Promote awareness by making sure your teens see you put on a seat belt every time you get in the car. 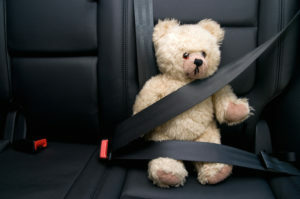 Reinforce good behavior by making sure they are buckled up before putting the vehicle into gear. Constantly talk about how seat belts reinforce safety while in the car. Or, you can discipline your teen driver if you catch them not wearing a seat belt. For example, take away their driving privileges for a week. 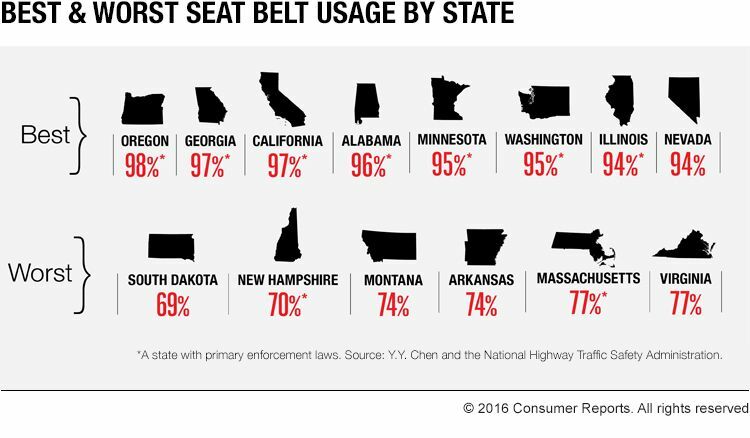 There’s one more good reason to buckle up every time – it’s against the law not to (in every state except New Hampshire). In some states, not wearing a seat belt is subject to primary enforcement. This means law enforcement officers to stop you and write a ticket if they observe you not wearing a seat belt. Other states consider it a secondary enforcement, in which case police officers can only write a seatbelt violation ticket if they stop you for another primary violation, such as running a red light or speeding. Either way, the easiest way to avoid penalty is by always wearing your seat belt. State laws also vary for wearing seat belts while riding in a taxi or limo. Most states do not require wearing a seat belt while riding in the back seat. However, limos and taxis are not immune from an auto collision. If the seat belts are available, it’s always good idea to wear them. It only takes a few seconds to buckle up. Do it every time you get in a moving vehicle, make sure it fits properly, and get safely to where you want to go. The life you save could be your own.